Together Counts: Across the country, families and their children are pledging to become more active and healthy together. They’re eating meals with each other; they’re being physically active together. We’re helping them track their progress. I was delighted to be asked by Leah Segedie, the woman behind Mamavation, to become a panelist on the Together Counts Twitter Party tomorrow. I’ve participated in a few twitter parties before, and for those of you who haven’t they move fast! I mean so fast! But it’s a fantastic way to connect with tweppole and there are often prizes to those who participate! I’m really excited to be a panelist, because Together Counts is pretty awesome. They are a nationwide program inspiring active and healthy living. The principle behind their program is Energy Balance, which means balancing the calories we consume with the calories we burn. Calories in, calories out. It’s that simple. 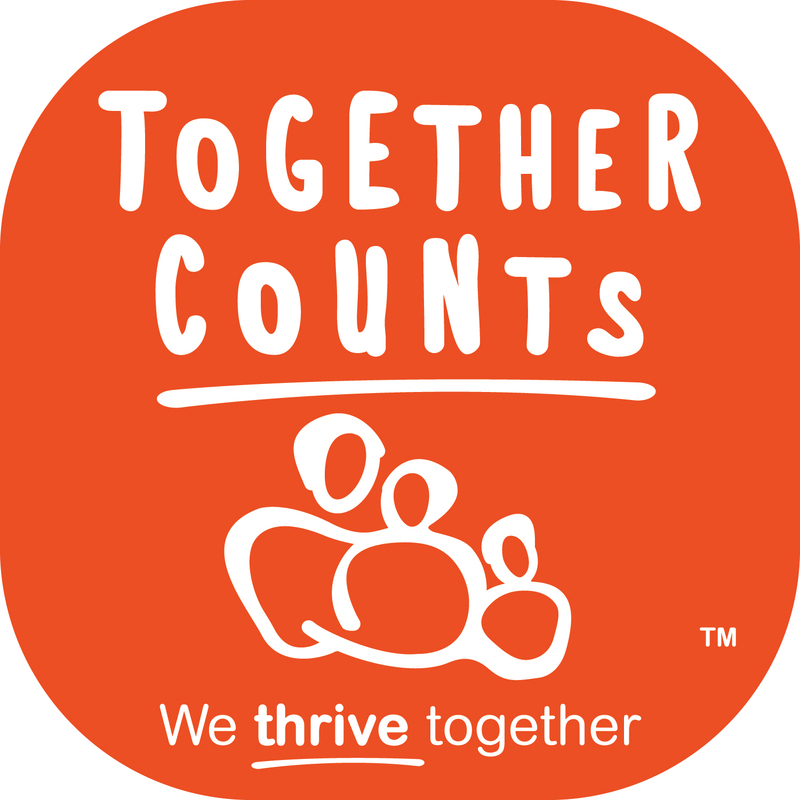 Together Counts was started by The Healthy Weight Commitment Foundation, a CEO–led organization, that is a national, multi-year effort designed to help reduce obesity–especially childhood obesity–by 2015. Join us Tuesday, June 14th from 8-10pm EST as we celebrate Together Counts, a fantastic program that encourages families to get more activity and eat meals together as a commitment to a healthy lifestyle. The key is doing it together!! I made the pledge and you should too! To participate in the twitter party be sure to use the #togethercounts hastag! To find out more about the twitter party (and awesome prizes you can win like a $200 gift certificate to Sports Authority) click HERE!